Its been a bit since we’ve last posted. Outside projects have been keeping me busy but I wanted to check in because its one of my favorite holiday weekends. 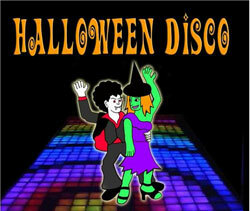 In order to help get you in a celebratory mood for all your Halloween festivities, we are going to get in touch with some roots and post up some rare recordings of some favorite Disco Classics being performed on Music Laden!!! To transition from current dance music to the disco past, we are starting with a track that is definitely disco, though was mid 80s by now, but we’re starting to hear more of the sound that is dance music today. A bit like “Acid Disco” in a sense, if thats a term. Continue on to go further back. We’ll ease in after that Evelyn Thomas track, with this more familiar track. I love the dancing club kids in the background. Now another favorite! The performers are really giving this their all and the live violins are great! Lets keep with the hits ! Always a great track to think of when you are down, Blame it on the Boogie ! One more mainstream track because the awesome use of early video technologies make this a gem. Lets start to wind down this post now with this smooth little number. Has the most divine disco violin riffs ready to float you away to disco bliss. I may add another, but lets leave off for now with this hot jam. Time to be, Cooooollllll.